Beautifully crafted and inspired by Victorian and Edwardian designs, the Bayswater White Crosshead Mono Basin Mixer is the perfect upgrade for the traditional bathroom. It's elegant crosshead handles, domed collar and classic white indices adds to the timeless look, while the ceramic disc technology ensures long life and smooth operation. 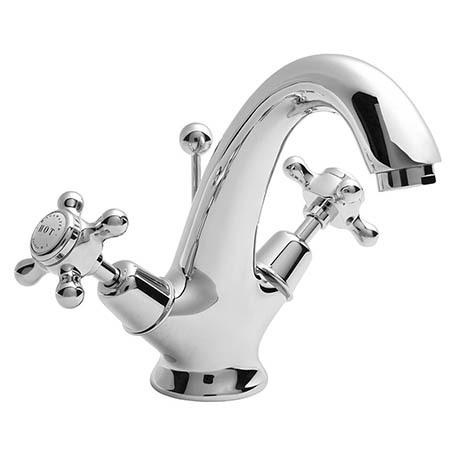 Made from high grade brass with a durable chrome finish. Supplied with pop-up waste.